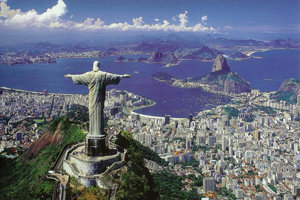 Brazil is set to invest £9.5bn in infrastructure ahead of hosting the Fifa World Cup in 2014 and the 2016 Olympic Games. The country expects to see a rise in the number of congresses and corporate events in the run up to these sporting events and a 15% increase in overall visitor figures. Rio de Janeiro was announced as the 2016 Olympic Games host city last Friday, seeing off bids from Chicago, Madrid and Tokyo. Brazil Tourist Office director Glauco Chris Fuzinatto said: "It is fantastic news. Infrastructure and accommodation need to be redeveloped and increased, but Brazil has a very good infrastructure for conference and incentive travel events." The Brazil Tourist Office is also targeting UK buyers with a travel-trade fam trip called Destination Brazil Showcase for 40 UK leisure and corporate travel organisers at the end of November.